What is that one annoying thing that comes between you and your dream blemish-free skin? The answer is simple - acne scars. I am sure all of us have been victims of acne problem at some point in our life. No matter what we do, these vile little devils pop-up on our face and leave behind unwanted scars. Every time you look into the mirror, these dark marks seem to stare back at you rudely. 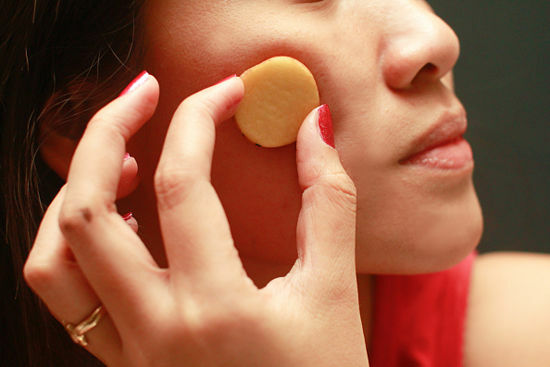 Various beauty products promise to remove your scars overnight, but nothing can help you get rid of these stubborn pimple marks easily. Moreover, such products are loaded with chemicals and acids which can have an adverse effect on your skin. 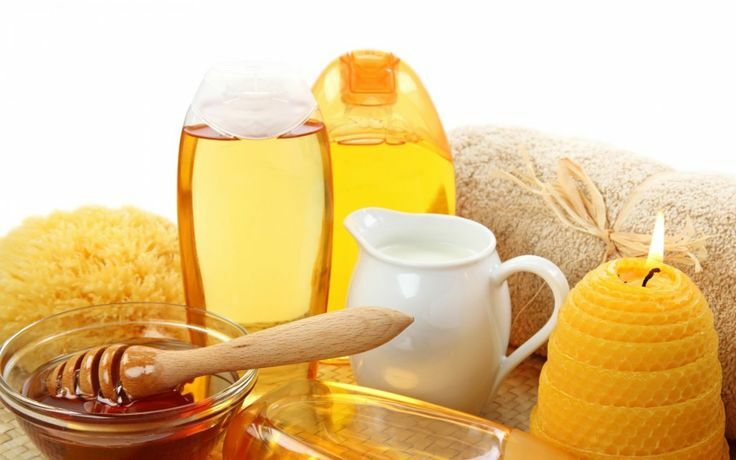 Home remedies are not only the safest way to remove acne scars, but they also help in adding essential nutrients to the skin that keeps our face healthy and radiant. Here are some natural remedies to fight against acne marks! Before sharing with you the effective home remedies to remove acne scars, I would like to share some essential tips to prevent the formation of these scars in the first place. First and foremost, leave your pimples alone. Avoid touching them every now and then with unwashed hands. The more you fidget with your pimples, the bigger they get causing more inflammation and injury to the skin, thus leading to deeper and darkened marks. Secondly, avoid exposing your acne or its marks to direct sunlight because harsh sun rays tend to slow down the healing process which in turn causes the marks to become darker and difficult to remove. Use sunscreen before stepping out of the house and carry an umbrella to shield your skin against direct sunlight. We all love our share of French Fries and Aloo Chat. But guess what? Beyond its gastronomic uses, the potato is very useful in fighting against many skin conditions like underarm darkening, acne scars, etc. In fact, the acid found in it acts as a natural bleaching agent. Cut the potato into fine round slices and apply them directly on the acne affected area or on the dark scars. Rub the pieces gently in a circular motion for some time. For best results, let the juice sit in for 10-15 minutes before you rinse it off. You can also grate the potato and apply the paste on the acne scars. Follow this routine every day and you will notice that your scars have considerably lightened. Honey is not only a great source of natural moisturizer, but it also helps in preventing infections due to its antibacterial property. It is advisable to use raw honey or organic honey as the ones we find in the supermarket shelves are processed and can contain artificial additives. Once you have gathered the suitable ingredients, you are good to go. Take one-fourth spoon of honey and sprinkle some cinnamon powder on it. Mix it into a paste and apply it on the scarred area. Leave it on your skin for 15 minutes before rinsing it off with lukewarm water. Repeat this twice a day and watch your acne marks fade away gradually. However, there is an exception. Honey works wonders for pimples caused by bacteria but those triggered off because of hormonal changes or medication will not disappear easily. Baking soda is a common household product easily found in almost all kitchens. It is one of the cheapest, easiest and most effective ways of getting rid of acne scars. Baking soda works as an excellent scrub. It encourages new skin growth by exfoliating the dead skin cells. 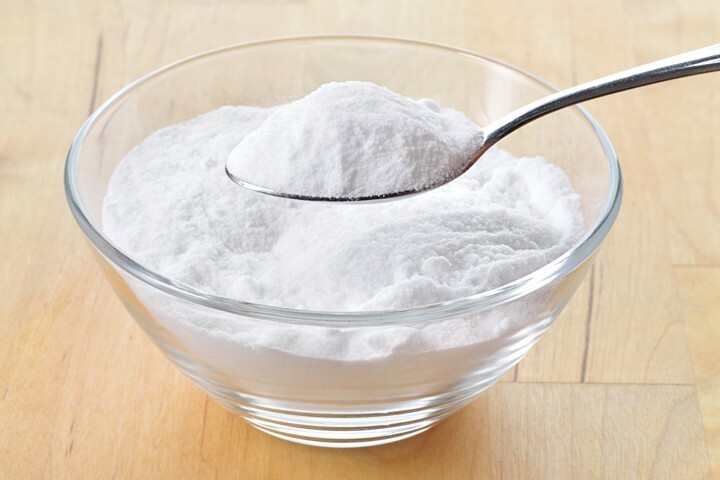 Take a teaspoon of baking soda in a clean bowl. Add an adequate amount of water to make a thick paste out of it. Mix it well and massage it gently over the affected area. Leave the paste on for few minutes and then rinse it off. Finish this routine by applying natural moisturiser like olive oil or coconut oil. Within a week's time, you will see that your acne scars have lightened to a great extent. Fresh aloe vera gel benefits your skin in numerous ways. Firstly, aloe vera gel acts as an anti-inflammatory and reduces the pain and redness caused by acne. Besides it has a soothing effect on the skin. 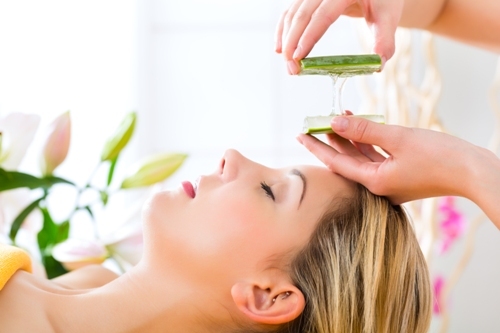 Moreover, aloe vera helps in stimulating skin growth. Thus, damaged cells heal faster and the dark scars become lighter. You can apply aloe vera directly on your skin. Take an aloe vera leaf and rub the gel-like part on your scars. Let it dry and wait for 15-20 minutes before washing it off. Repeat it twice a day for faster and best results. You can also go for aloe vera based skin creams which fight against acne marks. Since ages, neem has been considered as the best herb for its various properties like antibacterial, anti-fungal, antiseptic, etc. It is widely used in skin care and beauty products like face wash, soap, face masks, and many more. Neem also works wonders for oily and acne-prone skin. 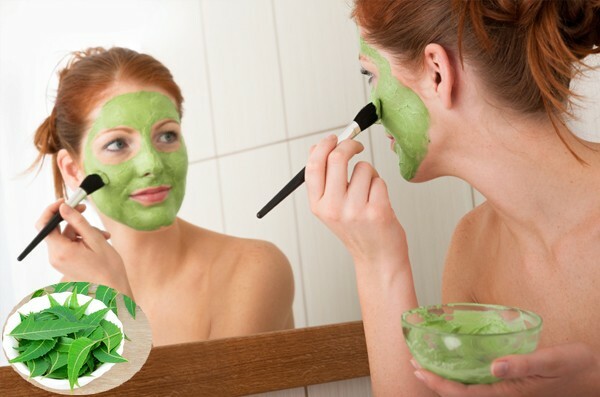 A paste of neem leaves can get rid or stubborn acne and their marks. Even though neem soaps are easily available in the market, it is advisable to use natural leaves as soap can dry your skin and cause further irritation. You can prepare a neem paste at home by pounding fresh neem leaves with a dash of rose water. Apply it on your face and rinse it off after 15 minutes. Don't let the paste stay for too long as it can cause dryness. You can also take neem capsules which boost the immune system and purifies the blood, thus keeping our skin healthier from within. Health-conscious people swear by the benefits of green tea when it comes to healthy and glowing skin. 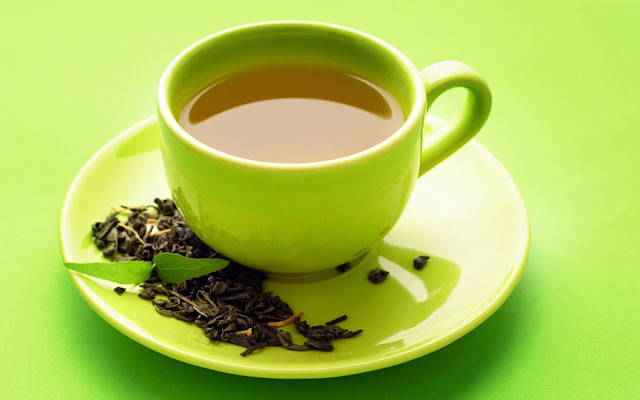 Green tea is loaded with antioxidants that help fight the free radicals which can cause potential harm to your skin. Drinking 3-4 cups of green tea per day flushes out the toxins from your body. Thus, you can prevent acne in the first place. As you prepare your usual cup of green tea, set aside small bowlful of it and allow it to cool down (you can also refrigerate it). Dip a cotton ball into the tea liquor and dab it on your face. Leave it on for 30 minutes and then wash it off. You can repeat this process thrice a day. Soon you will see your marks lighten and fade. Acne scars need a constant effort to finally fade away. With time, patience and regular application of natural home remedies, you will soon see the desired result. Great tips that can be easily executed at home. It was wonderful reading your post after so long! I swear by the baking soda and aloe vera method. Great post Meghna!